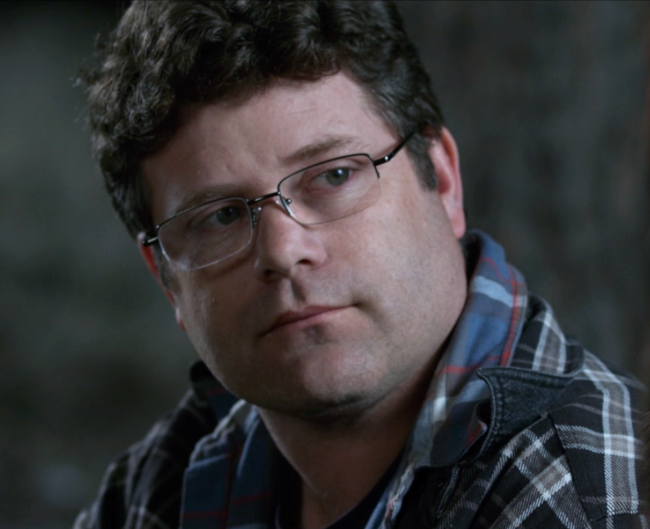 Sean Astin in Amazing Love: The Story of Hosea. Amazing Love: The Story of Hosea shows what happens when you have a lack of confidence in your idea of devoting a full-length film to a biblical character many are likely unfamiliar with, and instead, sacrifice its potential by including a needless story-arc that cheapens what should be your primary story. To give an example, imagine if Mel Gibson's Passion of the Christ opened, closed, and was frequently interrupted by people telling the story of Jesus's crucifixion around a campfire. The point is, these frequent cuts during the primary story and attempts to develop a needless story arc distract and oversimplify the core material. Whenever we find ourselves truly involved with Hosea's story, we must resort to cutting back between a youth group and their leaders telling the story around a campfire only for one or more of the teenagers to make some stupid comment about what the characters should do in an unrealistic fashion using "hip" dialog. The youth group is led by Sean Astin's Stuart and the kids are optimistic and nice-guy Steve (Kenton Duty), emotionally fragile Carrie (Sammi Hanratty), the smooth black guy Cooper (Terrence Hardy, Jr.), the game-addicted "Gameboy" (he's seriously never given a real name, played by Creagen Dow), and surly and disinterested Ashley (Savannah Jayde), whom is dragged by Stuart and his wife Beth (Fireproof's Erin Bethea) after learning of Ashley's unfortunate tribulations in life. Ashley has a mother who has had an umpteenth number of boyfriends in a short frame of time, and she shuns personal connections by listening to her music, doing her makeup, and writing off any nice gestures as annoying interactions with people beneath her. When we see the way the four kids interact with one another, and how Ashley possesses a lack of interest in everything going on, we can see that this sort of contention and lack of a stable bond will immediately direct us to development on the film's subtitle, which tells the biblical story of Hosea (played by Elijah Alexander). The biblical period piece aspect of the film is admittedly a bit cheesy and low budget, but it's the heart of the film and bears its strongest parts. One gets the sense director Kevin Downes and the trio of writers (Dave Christiano, Rich Christiano, and Greg Mitchell) wanted to make the entire film about the story of Hosea, however, felt a bit of a biting sense of urgency to include elements that modernized the overall product with predictable characters and Sean Astin's namesake just to be able to attract more people to the film. If that's the case, from a business standpoint, I totally understand. From a film analyzing and reviewing standpoint, I still cannot recommend Amazing Love. 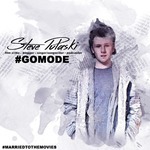 The film is very poorly conceived when it must rely on its modern actors to carry the story, infusing the story with typical pitfalls and vague personalities rather than characters, and even though it's pretty audacious to note that a film part of Christian cinema recognizes something like a mother flirting and dating numerous men, it's almost insulting how quickly and casually it is dismissed when it is brought up. Sean Astin's presence alone is fun during these moments, but even he can't liven an inherently dry story arc. When concerned with the scenes involving Hosea, we are given Elijah Alexander's capable but ultimately forgettable performance against a backdrop and setting that feels like a live action mock-up for a new "Biblical Times" themed-park. It's passable, and ultimately the most interesting part of the story, but given the fact that this focus seems to play second-in-line to its modernized counterpart, it doesn't get enough time to get richer, more hearty themes off the ground. At a paltry seventy-five minutes, Amazing Love: The Story of Hosea certainly can't be judged as a time burden, but given the amount of films released every year, and how many of them that are outstanding and go criminally under the radar, one needs to recognize that time spent on this is detracting from unseen films. However, youth groups and churches will undoubtedly appreciate this film, even if on a basic level, for its inclusion of two ostensibly different worlds that wind up intersecting for a feature film. Starring: Sean Astin, Erin Bethea, Elijah Alexander, and Savannah Jayde, Kenton Duty, Sammi Hanratty, Terrence Hardy, Jr., and Creagen Dow. Directed by: Kevin Downes.